Home » News » Is Interest in Classical Music Dying? Classical music is one of the oldest forms of music, lasting for over 400 years. In the past classical music was so popular that it was once a core class for many students during the Renaissance Era. Classical music has been a way to indicate class and social status, and many former composers and instrumentalist had fame equivalent to modern day pop stars. Although classical music has survived through years, with changing styles and performances, many argue that interest in classical music and specifically classical music training, has died. According to the National Endowment for the Arts, classical music performances and attendances have decreased dramatically. In within the last 5 years, attendance to classical music performances has decreased with only 8.8% of Americans attending a classical concert. This is a 2.8% decrease from the early 2000’s, with older Americans being the only group to increase in attendance. This can be caused by the fact that many orchestras have discontinued in recent years, and many musicians state they are not willing to put in the long hours and low pay that can often come with being a professional musician. This can also be caused by the changing concert etiquette and performance styles that changed during the 20th century. Not only has attendance at classical music concerts decreased, but the amount of students enrolling into classical music programs has also decreased. Dr. Anthony Randolph, the director of music in the fine arts department at Howard University stated that the music department has seen a decrease in the amount of students over the recent years and that they have also seen more students pursuing alternate music disciplines instead of just performance. “There hasn’t been an increase but actually a decrease in enrolment in the music department and especially in performance, but that isn’t because of lack of interest but more so because of lack of scholarships for music majors and parents who are afraid to let their children study music….however, what we have seen, is increases mostly in our music therapy program and music education has seen steady high numbers.” Said Dr. Randolph. With the increase in music education, and music therapy, the use of music in physical, emotional, cognitive, and social therapy, it is clear that interest in learning music is still relevant. However, it is important to note that many students who receive a degree in music or music education often pursue different studies in graduate school or alternate careers. It is important to discuss the real reasons behind why performances are down, attendances are down, and why many think classical music is dying. Money, culture, sponsors, and engagement, all contribute to the reason why classical music seems to be less popular today. Classical music has not adjusted to the changing culture in music and concerts. With cheaper tickets and more relaxed venues being available, many music lovers, especially millennials, are not willing to pay the high prices that come along with classical music concerts. While many average pop concert tickets can sell for as low as $30-50, many classical music concerts can average around $200 for a general ticket. Not only does money impact the audience, but it also impacts the musicians and record labels as well. While orchestra musicians for major symphony orchestras make an average of $100,000-$150,000 a year, it takes years of training and performing in order to join a major symphony. Also, with symphonies receiving less sponsors, often due to poor marketing and publicity, their musicians often have to take pay cuts and make less money each year, many will even consider music teaching to earn more money. 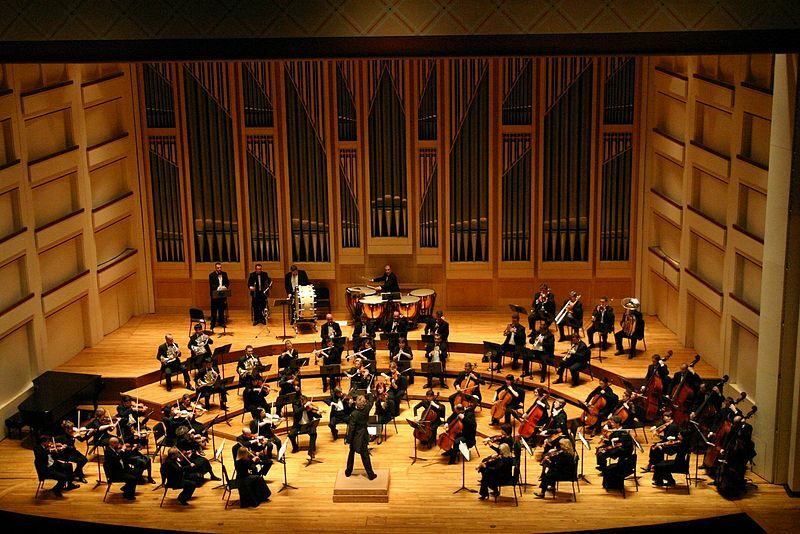 For example, the Macon Symphony Orchestra will be performed their last concert on October 14 due to lack of sponsors for musicians and funding, and according to the orchestras president, Bob Veto, it can cost around $50,000 per night to stage a concert. Coleen Ennis, owner of Coleen Ennis Music Studio in Denver, Colorado and a former, vocalist, pianist, and flutist stated that she began teaching music due to the difficulty of making money as a performer. “Unless you’re performing in a major city, a major venue, or even if you don’t have good promotion and publicity, it is very hard to make money as a musician. When you are performing pieces that have been performed plenty of times, you not only have to worry about what makes you different as a performer, but also what reasons should people pay to come and see you.” Said Ennis. Classical music culture and the performer’s engagement with the audience also plays a large role in the decrease in attendance at concerts, according to Charles Albright, concert pianist and recipient of Gilmore Young Artist Award. Unlike many other popular concerts where the artist interacts with the audience often, and makes the experience seem personable, classical music concerts can be very stiff and quiet, and according to Albright, the performers rarely engages with the audience during the performance, and many concert goers are turned off by the strict dress codes and etiquette that comes along with attending a classical music concert. With classical music album sales increasing by 5% in the last year but decreasing by 25% in the previous year, according to The Nielsen Company, it seems as if classical music may not be as popular as before; however it is important to acknowledge that although album sales may be down, streams increased 94% in 2014, . Due to these changes in classical music, many trained musicians and composers have taken it upon themselves to engage more people, and younger people, into classical music. Popular concert pianist, Yuja Wang, has shifted the often conservative attire many female performers must wear by wearing short formal dresses, and dresses with high slits and plunging neck lines. Other popular concert pianist Valentina Lisitsa has engaged with a younger audience by posting free videos of her performances on YouTube. Composers such as Yiruma, have added more modern elements to his music in order to make the sound slightly more similar to modern pop music. So, is interest in classical music dying? There is not a clear yes or no answer, and there are many variables to this discussion, however, there are many ways the classical music industry can reengage a new and younger audience.